« 3 Reasons Why Anne Hathaway’s Travel Outfit is Copy-Worthy! Variety magazine and unite4:good teamed up to honor a number of celebrities’ philanthropic acts at the first annual unite4:humanity gala held at the Sony Pictures Studios in California on February 27. Alicia Keys, who is a co-founder and global ambassador of Keep a Child Alive and who has participated in a number of benefit concerts and campaigns, was honored with the Music Visionary Award that night. For the event, the 33-year-old singer opted for an all-black ensemble that included a Fleur du Mal bustier, Walter Steiger heels, and a pair of wide-legged pants by Proenza Schouler. The pants are so wide that they looked like a maxi skirt, and some didn’t find it flattering for Alicia. We actually thought she was wearing a dress until we saw her photo below. It proved that she was indeed wearing a pair of wide-legged pants. 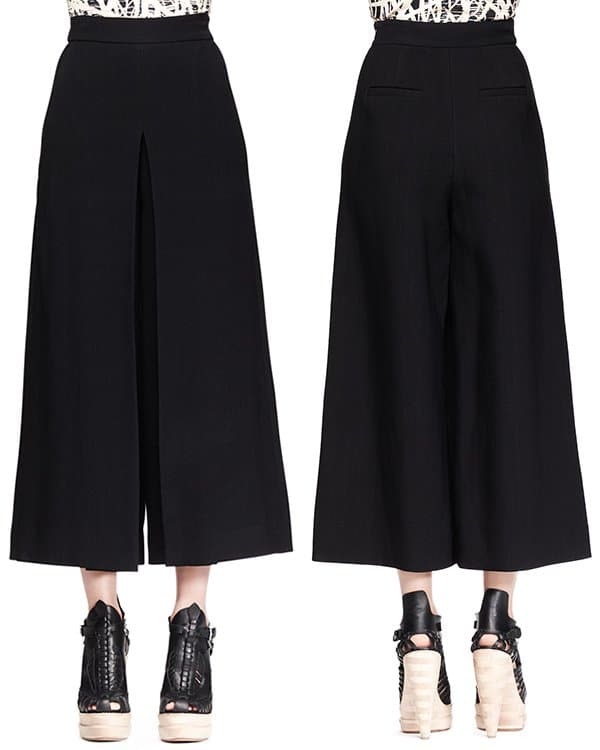 The cropped “Gaucho” pants are made of crepe and feature high-waist fit and folded front leg panels. They also have a hidden side zip, side slash pockets, and back welt pockets in case you need to keep some stuff handy. 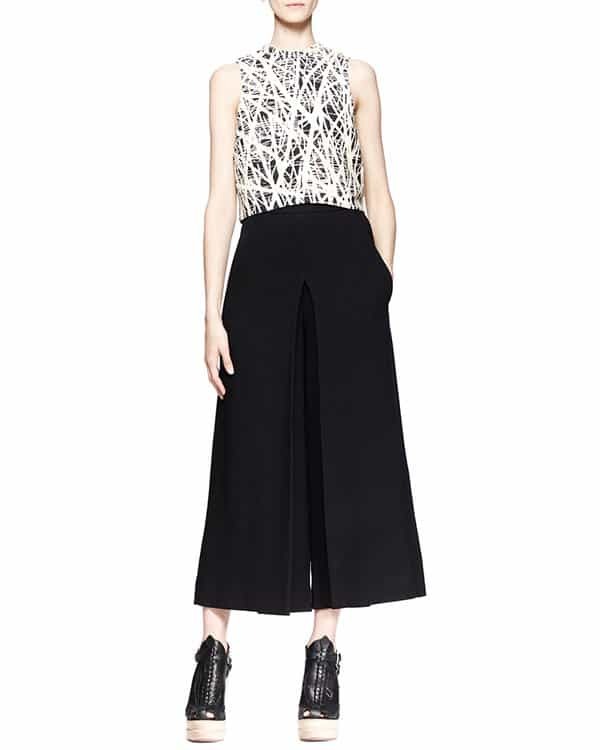 Do you like these Proenza Schouler pants?